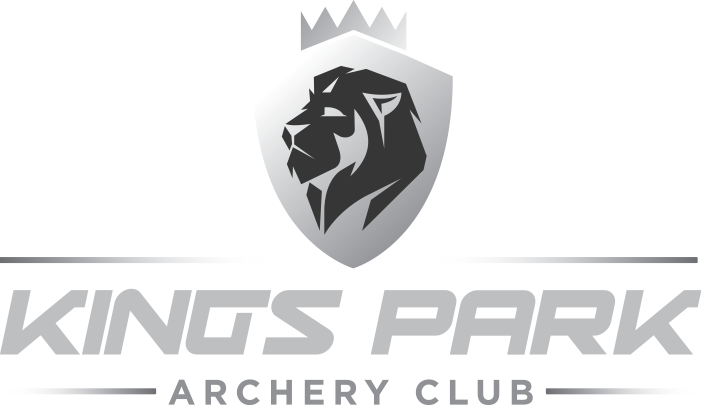 Kings Park Archery Club is proud to be a part of Archery Development, and growing of Archery is important to the success of Archery as a sport in South Africa. Consequently, attention to development in a sports organisation is vital to ensure growth in general awareness of what the sport offers, to attract new and retain existing members and promote growth in participation in the sport. Whether at a club, provincial or national level, there needs to be an effort to evaluate the current state of the sport, propose actions or programmes to stimulate growth and maximize facilities and opportunities for participation. 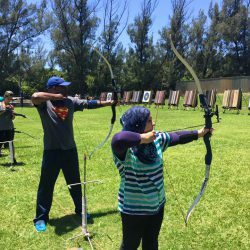 Archery is a great sport which can be enjoyed by the whole family and imparts not only skills and discipline but is an outstanding stress reliever. 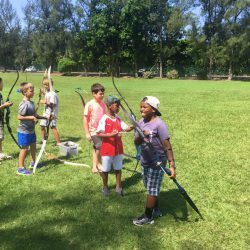 KPAC has an intentional development program which has, until recently, focused primarily on presenting a Basic Introduction to Archery course. 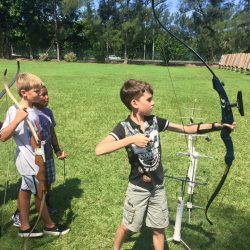 However in the past 18 months, in association with KZN Archery, the provincial body, a lot of attention has been paid to introducing archery into schools as an extra mural activity. Slowly this initiative is gaining momentum and hopefully it will not be too long before many, many more children will be enjoying the fun and pleasure of drawing a bow. Introducing folk to the fun and pleasure of drawing a bow is also the main focus of our introductory course. 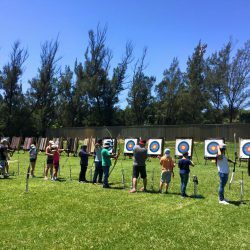 Besides teaching folk “which end of the bow the arrow comes out of” we strive over the three two hour sessions of the course to demonstrate just how much fun archery can be. 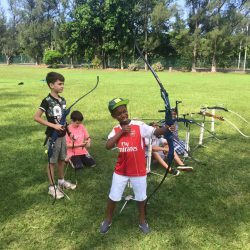 Under the guidance of our highly competent coaches a group of people, from all walks of life and all ages from eleven to . . . . shall we say mature, are taken from the understanding the various parts of the equipment to shooting a mini competition. From the introductory course we have a significant number of folk who go on to join the club which offers not only the facilities but also advice on buying the correct equipment. There are also coaches available to advise or to hone developing skills to a high standard. There is an age old mystique about a bow and arrow which seems to stir something deep within us. 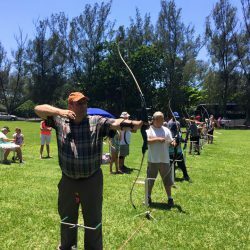 We want to provide everyone with the opportunity to experience the exhilaration of drawing a bow, releasing the string and watching the arrow flash away toward the target. To feel the thrill of excitement as the arrow strikes the centre of the target and the wonderful sense of success as you pick up the next arrow to do it again. Perhaps now is the time for you to realize that long time wish to “give it a go”.